The Everest 2 in. x 27 ft. 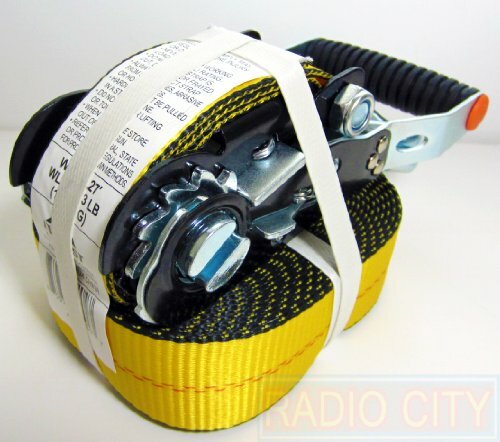 Heavy duty Anti-Theft ratchet tie down features Corrosion resistant hardware, double J hooks. The 27 ft. of patented extra strong webbing gives you reliability when you most need it. The handle is removable for theft protection. Exclusive removable handle allows you to use one handle for multiple straps. Breaking strength of 10000 lb. and a 3333 lb. WLL (working Load Limit).